Check out our webinar: ""How to write clearly understood evidence handling & storage procedures that meet and exceed CALEA, ISO 17020 /17025, FBI-QAS and NIST Standards"
RTF Evidence Storage Lockers are at work in busy and demanding agencies. RTF Manufacturing Evidence Storage Systems Meet and Exceed Evidence Preservation Requirements. RTF evidence lockers are equipped with individually numbered locker doors in pass-thru and non-pass-thru formats. Pass thru formats enable access to all compartments from a single rear door. All lockers are made of high-grade steel and are available in custom color matching. 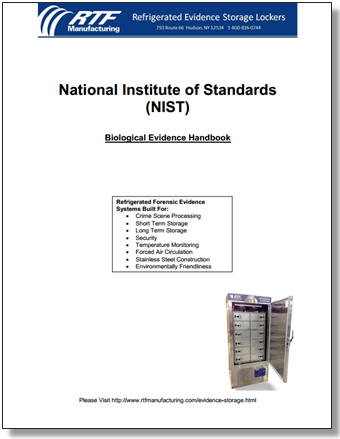 Engineered and Built for use in Forensic and DNA Science Preservation Systems. 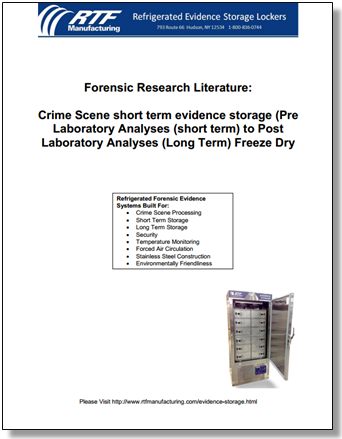 RTF State-of-the-Art Evidence Storage Refrigerators and Freezers. 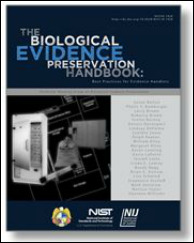 ​RTF Manufacturing offers a line of refrigerators and freezers designed exclusively for the storage of biological evidence. 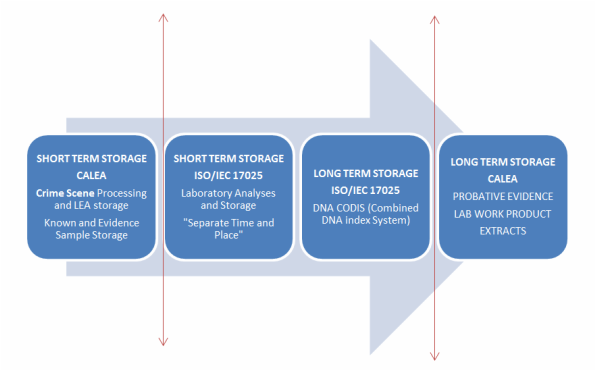 These units provide durable, cost- and space-efficient solutions to short- and long-term storage while ensuring the security and integrity of this critical type of evidence. These free-standing, forced-air drying cabinets are designed specifically for preserving wet biological evidence efficiently while protecting personnel from potential biohazards. Both intake and exhaust air is filtered using HEPA and carbon filters. Interiors have corrosion-proof shelves and are easily disinfected. Units include timers, temperature controls, and alarms. Available in standard as well as custom sizes. Call 1-800-836-0744 or email: info@rtfmanufacturing.com to request a quote today—discuss your requirements with an RTF engineer and we will provide the assistance you need. A detailed quote and specifications will be provided for each job. Upright and undercounter models are available, including pass-through designs. Various internal compartment configurations are offered to maximize the use of space. Security features protect against loss and help maintain unbroken chain of custody. Temperature is maintained to within 1°C, with digital temperature display and audio/visual and remote alarm options. Forced air circulation maintains even temperature throughout. Durable stainless steel construction ensures longevity while NSF-approved Shureshield® coating inhibits microbial growth, resists corrosion, and eases cleaning. Electric condensate removal eliminates drain lines. Industrial-grade compressors are hermetically sealed and acoustically insulated. High-efficiency IDXIN® Vacuum Insulation Panels save space while reducing energy consumption and operating cost. Meet all building code requirements and UL Standards for safety and performance.